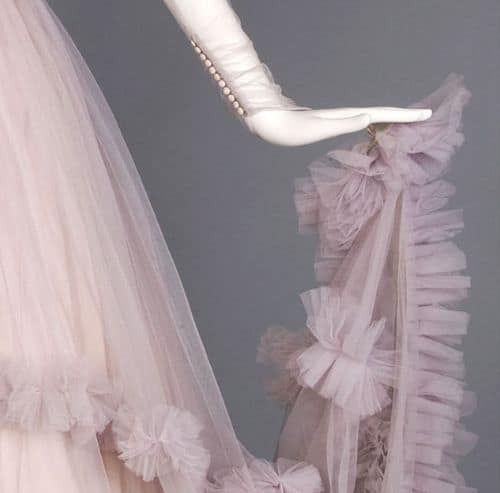 The final way that tulle excells is by making the most amazing ruffles. No need to hem the edge leaves them light and frothy. Cute ruffles below and also a lovely sleeve. A wonderful technique using the ruffles vertically, narrower at the top edge and fuller at the hem. I don’t love the below dress but I do quite like the idea. 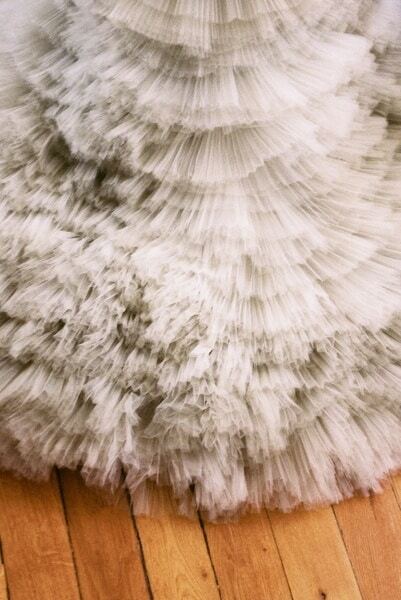 Ruffles of tulle used between placed lace to give softness and texture. 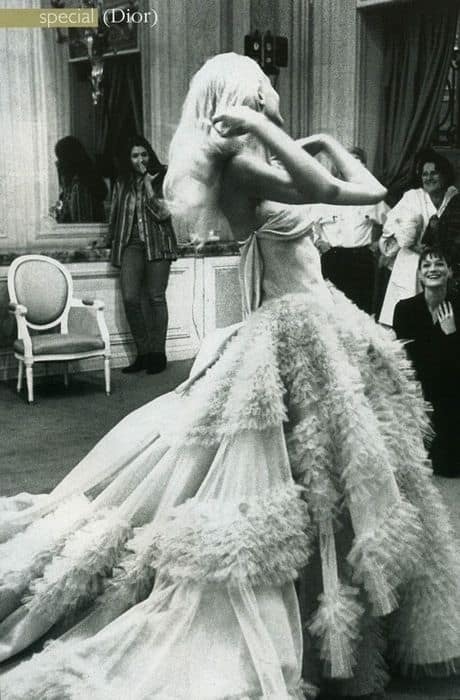 The ruffles on the dress below I think are a little too long but it is still very inspiring. 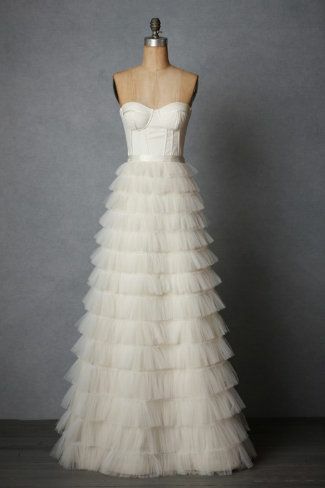 This dress is not made of tulle but a skirt of cascading ruffles like this could be made easily. This skirt is so effective because the lines of the ruffles don’t follow the usual direction around the skirt. Simple but effective rows of tulle ruffles on a separate skirt. This entry was posted in Blog, construction, Formal, History of fashion, Ideas for brides, year 12 formal. Bookmark the permalink.